After a long, long break from blogging, I’ve found my way back. It is odd that in order to carve out a life of writing for myself, I’ve actually done less writing and editing this last month. And with my exam deadline in December coming awfully close, I need to prioritise so I expect little improvement for the next month as well. Fire Prince is still burning low, waiting for a lot more editing. Raven is back on its perch, wanting to fly free. My short story for publication will receive a lot of feedback in the coming week so that project is still moving forward. I am also doing some beta reading and editing for other people that will benefit my writing in the long run. There’s also little progress to be reported on the reading front. I’ve not finished a book at all in October and will need to put in some reading time if I want to achieve my Goodreads challenge to read 30 books this year. In order to finish this post on a happy note and to celebrate my return to blogging, writing and business planning, I wanted to share one place that I found inspirational. 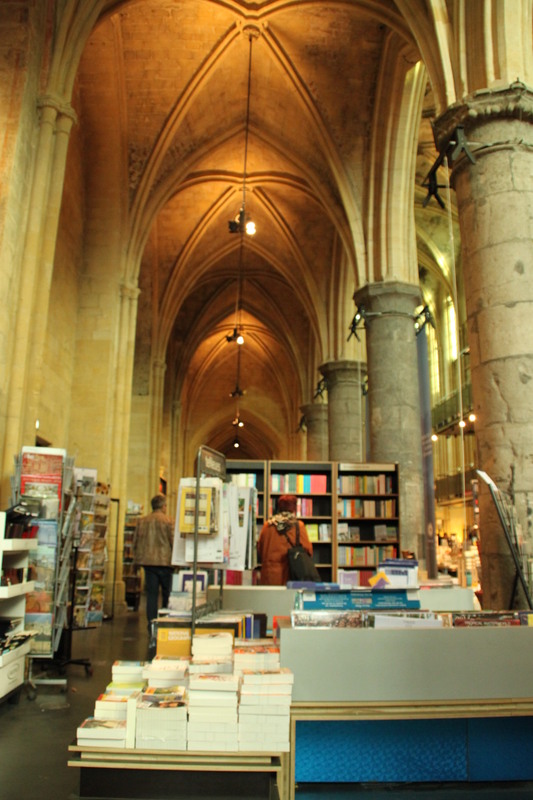 During a trip to Maastricht, with its many churches, there was one church that would keep me coming back often. A Book Church. Polare in Maastricht.